Welcome to Blue Violet Salon Online. We offer a full-service array of haircoloring services, haircuts, facial waxing, conditioning, smoothing treatments and styling services for men, women, and the kids. 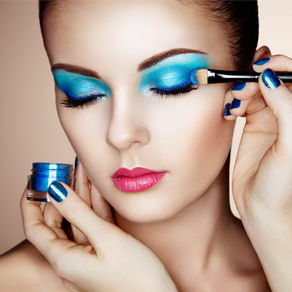 Our goal at Blue Violet Salon is to make you feel relaxed and welcomed, our services are offered at the highest level and we believe that the most significant image statement we make is by having a great haircut accented by fabulous color, the two create synergy to enhance and maximize your personal image. 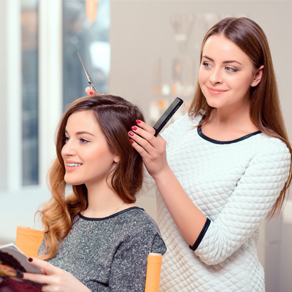 The owner of Blue Violet Salon is a Board Certified Haircolorist, which means you will only receive the best in color treatments from Blue Violet Salon. We have provided a price menu and a list of our products for your review. Thank you for allowing us to make your next salon experience as rewarding as possible. At Blue Violet Salon we specialize in Hair Color for women, and men. Thinking about getting a new hair color, Blue Violet Salon Stylists can ease you into this change. 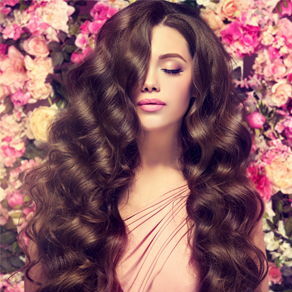 Our Stylists are experienced working with curly hair, fine hair, coarse or thick hair. Your Stylist can show you all the beautiful Redken Color options you have, whether it is for covering grays, or to spice up your existing color with some dimensional highlights. We are always aware of maintaining the integrity of our guest’s hair as we work the color processes, when possible we will do a base-only application rather than an allover application. Applying more color to the previously colored lengths and ends of your hair will cause a greater level of porosity to the cuticle resulting in more damage and greater fading in the hair in the long run. After your base application, we follow with a “Shine & Rinse” emulsion step to balance and brighten the previously colored hair without overexposing it to color. We recommend a trim to remove split or fine ends after your coloring; this will help keep your hair the healthiest in the long run. Come experience the quality hair care, personalized service, and excellent guest satisfaction at Blue Violet Salon. Schedule your appointment with a friendly Blue Violet Salon Stylist today! We will do our best to accommodate your busy schedule. Request an Appointment with us now!